Posted in: Early Childhood Education, S.T.E.M. Children are naturally curious about the world around them. 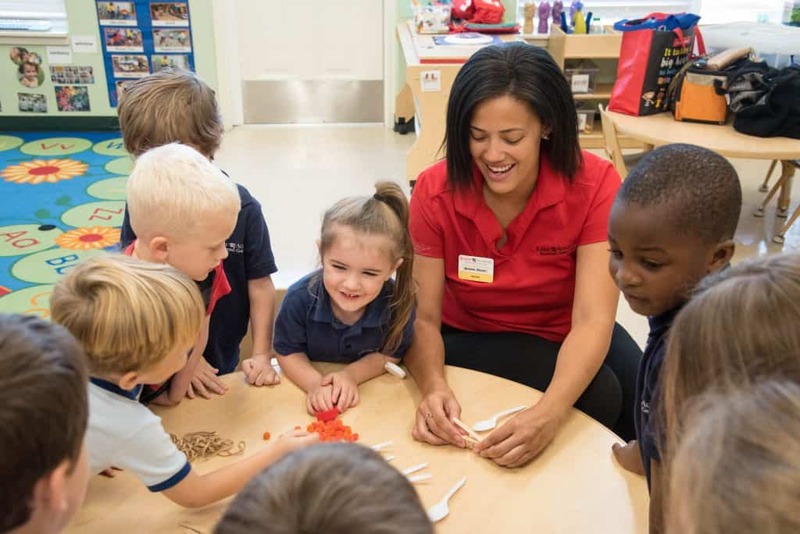 At Kiddie Academy, our educators tap into that sense of wonder and discovery with STEM Challenges (STEM is an integrated approach to Science, Technology, Engineering and Mathematics). 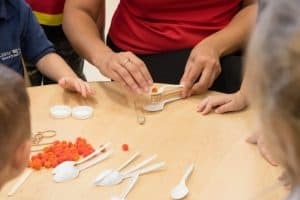 Kiddie Academy’s STEM activities are designed to foster critical thinking and inquiry skills through hands-on, play-based, cooperative experiences for our students. 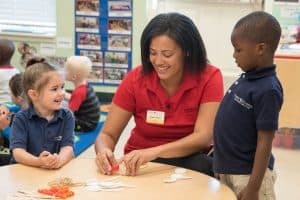 This approach helps children think creatively, solve problems and discover new concepts on their own. Spark your child’s interest in space and shooting stars by reading On the Night of the Shooting Star by Amy Hest and How to Catch a Star by Oliver Jeffers and create your own catapult at home with this fun STEM activity. After reading about shooting stars, your child can have a better understanding as to what they are trying to recreate with this activity. Step 1: Take eight craft sticks and rubber band them together. Step 2: Take two additional sticks and secure one at the top of the eight sticks and one at the bottom. Hold the ends of the two craft sticks to form a V. Take a plastic lid and put a pom pom in it. Try launching the pom pom with the lid under it and again with out the lid. Step 3: Place the plastic lid on the top craft stick and let go of the sticks to launch the pom pom. What do you think will happen if we add more pom poms to the plastic lid? Which will launch faster: one pom pom or three? 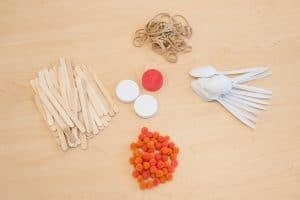 Do you think we will have the same result if we used plastic spoons to launch the pom pom instead of the two craft sticks? What could we use instead of pom poms to be our shooting stars? Beans? Marshmallows? Buttons? Once your shooting stars experiment is complete, ask your child to consider the following concepts for additional learning. How does this remind you of a shooting star? Do you think there is a giant catapult that launches them in the sky?